Jan. 31 (NBD) -- Meituan Dache, the car-hailing arm of lifestyle giant Meituan Dianping (Meituan), entered into a strategic agreement with automaker WM Motor on Wednesday, which marked the first time that Meituan has teamed up with an automobile manufacturer. Under the agreement, WM Motor's EX5 electric sport-utility vehicle (SUV) will be introduced onto the Meituan Dache's ride-hailing platform. And in return, Meituan, leveraging its online traffic and big data and harnessing its product marketing capability, will get WM Motor's cars more frequently seen and used by customers. Founded in 2015, WM Motor released its first massive-produced electric car, the EX5 SUV, in April 2018. It's noted that the tie-up has firstly landed in Shanghai and that starting from January 21, WM Motor's vehicles became available for customers in Shanghai via the Meituan Dache platform. Before joining hands with WM Motor, Meituan Dache has been laying low for quite a long time. When going online on a trial basis in early 2017, Meituan Dache achieved rapid expansion with its subsidy strategy and it took the company a mere 10 months to break a daily order volume of 100,000. 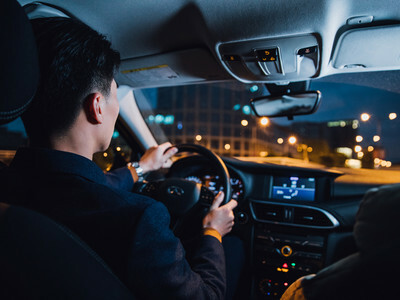 Riding on the momentum, Meituan Dache then launched the ride-hailing services in a second city, Shanghai, but was called in by Shanghai's regulatory authorities for not meeting necessary criteria. After Meituan Dache canceled subsidies, the firm's expansion went stagnant. However, Meituan has never abandoned its car-hailing business. Last November, Wang Huiwen, senior vice president of Meituan, said in an interview that the company would not give up the business. "We will keep trying in this field (of ride-hailing)." As of December 21, 2018, Meituan Dache had received permit for ride-haling in six Chinese cities, which are Nanjing, Shanghai, Hangzhou, Chengdu, Wenzhou and Beijing. Although Meituan hadn't disclosed where it would expand the footprints next, yet the company was reported to have started recruiting drivers in Zhengzhou, central China's Henan province.